Hidden controlled client hides and runs in background in Service way. 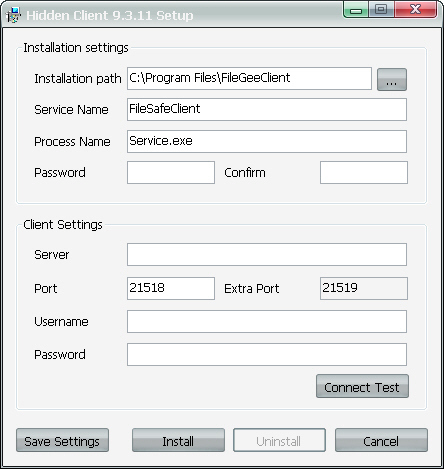 When installing, some server information is required to set for logging in client automatically. In the above dialogue box, enter server name, port, the user name and password used for logging in server. Then install and the information has been saved. Program will start and run in background.